With that title I almost started telling the wrong story! I've have been on my fair share of slippery slopes but this is something else entirely. A while back I posted about my favorite machine oil Marvel Mystery Oil and how well it will bring a dry machine back from stiffness. This oil has solvents and whatnot that really help it penetrate and work through the oil yellowed varnish left behind by old oil. It also evaporates cleanly leaving no residue that I can detect, however it does evaporate, and quickly. For those who enjoy oiling machines that's really no problem as it's fun pop the lid and squirt some oil around. However I've been on the lookout for something better, and I've found it. If you know me even a little then you understand that I am never afraid to experiment and I'm always up for a bargain. I headed down to the parts house and looked for some fully synthetic motor oil. I'd like to say I struggled with the decision of what brand to buy but the reality is I bought what was on sale. There is always oil on sale at the parts house, why would you bother buying the full price stuff? I ended up with Quaker State which comes in a nice clear bottle and I also like the label. With a name like "Ultimate Durability" it has to be the "best" right? If memory serves I paid $2.99 for the quart which has turned out to be quite a bargain. They have fully synthetic and synthetic blends so I assume you'd want the fully synthetic. Petroleum-based oils lack both the lubrication performance and oxidation stability of synthetics. Real oil is made up of a mixture of long and short chains of carbon and hydrogen atoms, and under certain conditions the short-chain molecules evaporate, and the unstable molecules oxidize and break down. This leaves a sticky residue which can actually “gum up” the device it was intending to lubricate. Conventional oils also contain varying amounts of impurities, such as sulfur, waxes, and unstable hydrocarbons which are left behind as residue deposits. In contrast, synthetic oils are made using a process that re-arranges the structure so all the molecules are uniform in size, shape, and weight, an ideal phenomenon which does not occur in nature. While petroleum-based oils that are extracted from the ground must then be refined to attempt to minimize their shortcomings, synthetics are custom-designed to produce the ultimate lubricant, with inherent performance characteristics vastly superior to any petro-oil." The bottom line is, I don't care if you get the ebay synthetic or the parts house synthetic but when you do I know you will be more than happy with how zippy and fresh your machine feels. Yes, even the novice oilier will be able to feel the difference, I promise. For me the two main selling points are the obvious slickness (you can even feel this on your fingers) AND that the synthetic it doesn't seem to evaporate so machines require less frequent oiling. My own machines at home are always well maintained however at work I feel lucky if the 23+ machines there get cracked open every three months. Usually by that time they're clogged with lint and stiff to operate. One of my high school aged assistants has taken a liking to machine maintenance so hopefully we can get on a regular schedule by September. I also poured this motor oil in both the industrial machines (overlock and coverstitch) and they are also now smooth as silk. Thanks for the tip, Brian. With an older machine like, for instance, a Kenmore from the 70s that you have to open at the top and at the bottom in order to oil it, do you open it completely every single time you oil it, perhaps every 2-3 days even? Thanks. Great tip, Brian, thank you. I have a machine that will really benefit from this. My concern with using automotive oil is that it is considerably thicker than sewing machine oil. It may also attack some plastics . Our machines are engineered to use a specific viscosity oil and I'm not sure motor oil complies with that requirement. Just because a machine sounds smoother and quieter does not necessarily mean it is properly lubricated. Case in point. An old used car salesman trick is to pack grease in the bearings of a noisy rear axle. Traditional white oil does not stain fabrics, and washes out easily. If it is not actually soluble in alcohol, residues of it are easily broken up and washed away by alcohol. And I assume it is formulated not just for lubricity -- which Brian thinks is inferior, and it may well be -- but for not holding dust and line....as much as alternatives. 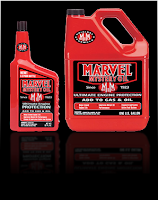 Any motor oil you buy is formulated to withstand temps unknown to sm marts. Adhesion of dust or freedom from that is not an issue in design. So, Brian, I am sympathetic to your quest for better, and wonder about the addiction of the textile-sewing industry to white oil, some of it always dissolving the varnishes from the last application. But,I'd think that if better were available, the industry would use it. That said: Maybe for the bearings well away from lint and dust? Try Ballistol. It is an old-school German gun oil that makes my machines smooth as butter. Sounds silly, but it works great! I realize this is an old post, but just wanted to chime in. Like you, I am always looking for better, less expensive ways to meet the same goals. Using synthetic motor oil seems like a possibly good way to go. An added benefit you don't mention is the detergents in motor oil. Should help keep things clean. I'm wondering what weight you use? I've seen regular sewing machine oil referenced as 10 wt. I'm thinking a good 5-30 wt. synthetic would be the ticket. Thoughts?